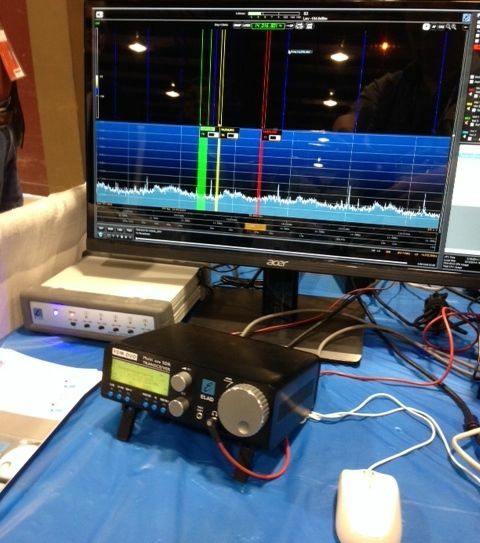 At the Dayton Hamvention last month, I made a point to check out the Italian radio manufacturer, Elad. 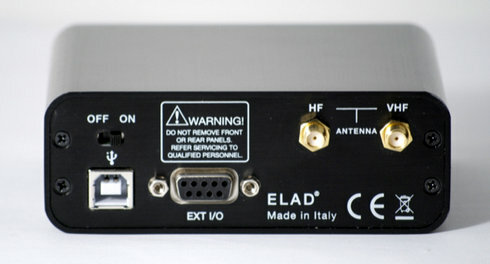 Though I’ve known about Elad for some time, I hadn’t investigated their offerings yet simply because I was under the impression they only sold and warrantied their equipment within Europe. Fortunately, Elad has begun supporting and shipping their products within the US, via their division Elad-USA. 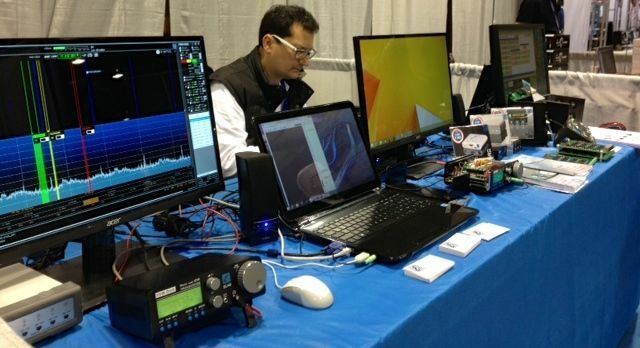 Elad’s booth was one of the first stops I made at the Hamvention; I met with their representatives there, who answered my many questions. 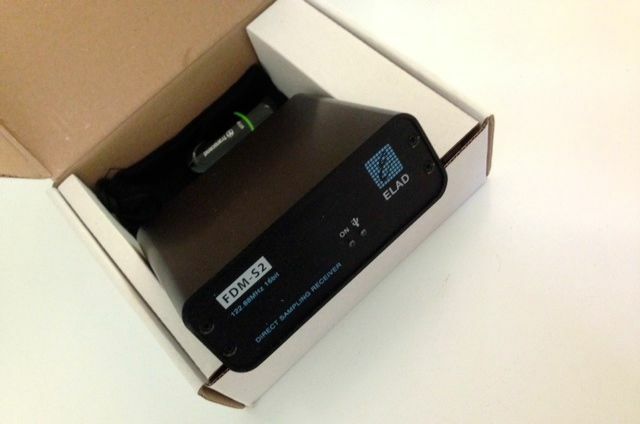 While Elad is soon to release their flagship tabletop SDR transceiver (the FDM-DUO, see below), I was more interested in their flagship receiver, the FDM-S2–which really impressed me during their demo. 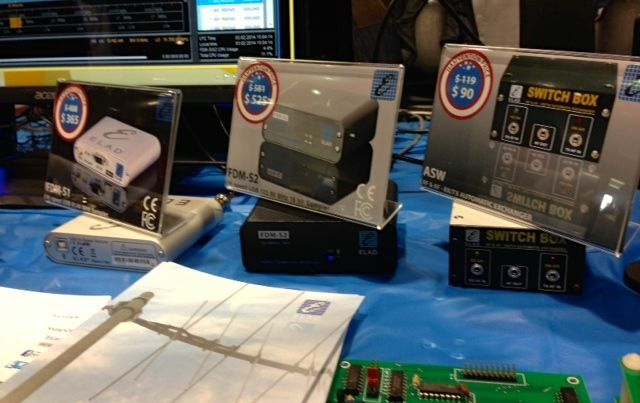 The FDM-DUO attracted many visitors at the Elad booth. Being a receiver with a small footprint (a major plus, in my world), the FDM-S2 comes in a small box (measuring only 6.5 x 5.5 x 2 inches). Contents of the box are few and simple: the FDM-S2 receiver, a black cloth carrying bag, and a 4GB USB drive with installation software and documentation. A standard USB cable was also included in the shipping box. The FDM-S2 metal enclosure is beautifully engineered, and feels of excellent quality in my hands. First, you install a C++ package on your Windows PC which, when complete, triggers the actual Elad software installation: this is a two-part installation that you only initiate once. Secondly, you install the USB driver for the FDM-S2, found in the installation folder of the supplied software. At time of posting, the USB driver cannot be automatically discovered and installed by your PC; you must initiate the installation via the device manager. However, this is very easy: the guide takes you through the process step-by-step. On the back of the FDM-S2 you’ll find HF and VHF (SMA) antenna ports, a USB port, serial interface, and on/off switch. The FDM-S2 derives its power from the same USB cable that is used for data, no separate external power supply required–a huge plus, for those of us who like to travel. Once I installed the software and driver, I hooked up my antenna to the HF SMA connector on the back, turned on the FDM-S2, and launched the application. The FDM-S2 clicked to life, and the application ran on the first go: very nice! I spent a good hour or so familiarizing myself with the Elad software yesterday evening. It’s quite a departure from the WinRadio Excalibur and Microtelecom Perseus applications with which I’m most familiar. Nonetheless, while I’m still learning how to adjust the spectrum bandwidth (which can be a full 6 MHz wide!) plus manage the four virtual receivers, I found I was able to do quite a bit of band-scanning. I initiated my very first AF recording on the FDM-S2 (see screen capture above). The process was quite simple and I’m very happy with the level of customization Elad affords in its software; indeed, I can set the file name to automatically note the frequency, time, date and mode. Click here to listen to that recording in the recent post, The Voice of Greece, one year on. Day One with the FDM-S2? So far, so good. The Elad application is very customizable, hence has a higher learning curve than SDR applications I’ve used in the past. Thus I’ll need to log quite a few hours on the FDM-S2 before I can say that I’m proficient. 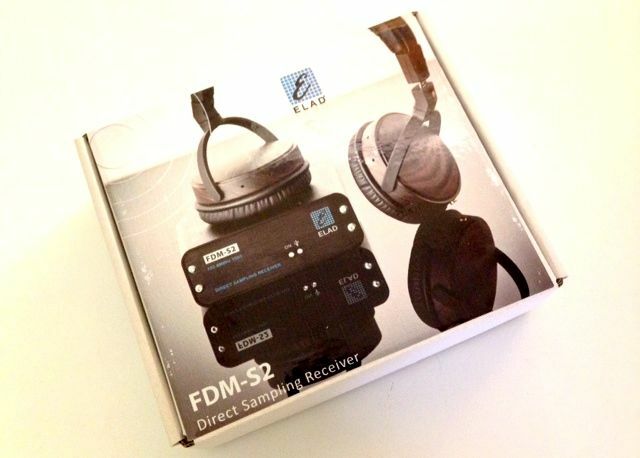 Readers: Have you had experience with the FDM-S2? Any hints or suggestions? Please comment–! This entry was posted in New Products, News, Radios, Recordings, Shortwave Radio, Software Defined Radio and tagged ELAD, Elad FDM-S2, FDM-s2, Radio Station of Macedonia, Radio Station of Macedonia ERT 3, Voice of Greece on June 12, 2014 by Thomas. 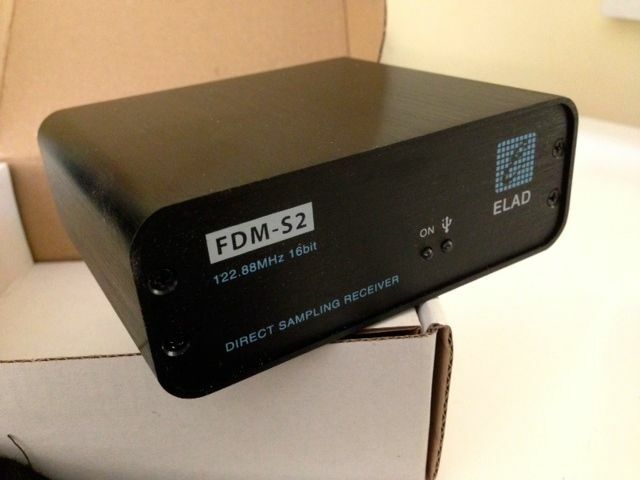 I’ve been the hapy owner of a FDM-S2 from Elad for a few months, and all I can say is it’s a great little box. Probably the best value for the money on the SDR market. The Elad Team is attentive to the users suggestions, responsive and friendly. Besides this, the software is constantly evolving. Its very nice, I am holding out for the DUOr the receiver only version of the DUO transceiver, use standalone or with SDR software.